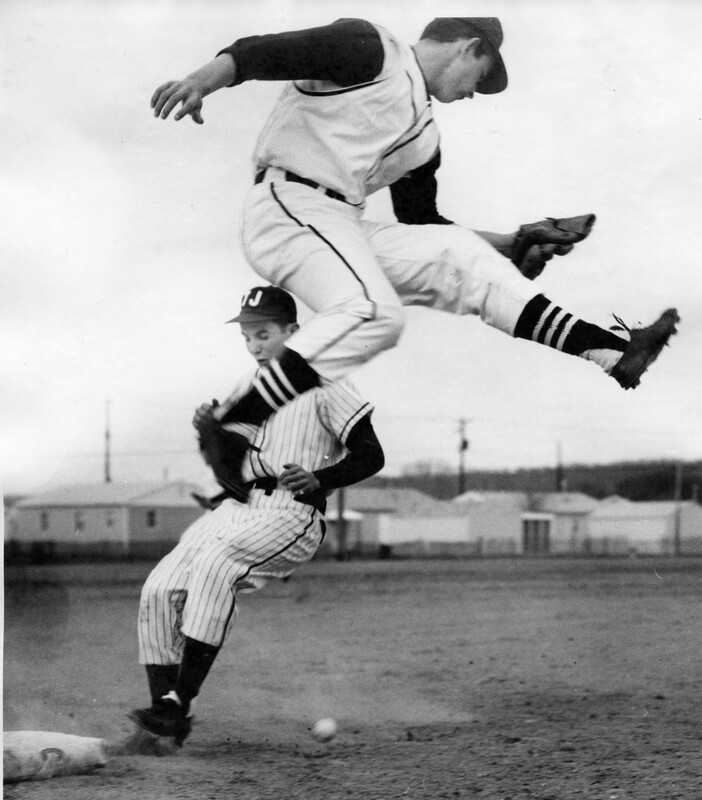 High Jumping...to avoid bumping into runner Don Dew, St. Joseph's third baseman Bob Blankenship sees ball go past the bag on steal attempt by Dew. Nonpareil photos, “Yellowjackets Dump Johawks; T.J. Opens Crown Defense,” Council Bluffs Public Library, accessed April 21, 2019, https://www.councilbluffslibrary.org/archive/items/show/4153.